At least 190 Saudi mercenaries were killed or injured in the Yemeni city of Sa’ada, where a massive attack by the kingdom was foiled, Spokesman for Yemen’s Armed Forces Brigadier General Yahya Saree announced. He further noted that Yemeni forces foiled the Saudi-led attack on Baqim District, killing 90 mercenaries and injuring at least 100 others. The Yemeni forces also cleansed Naseh heights from Saudi mercenaries. On Sunday, Saree said Yemeni fighters killed at least 20 Saudi soldiers in a retaliatory attack as the Riyadh regime’s deadly war against the impoverished southern neighbor entered the fifth year. The attack by the Yemeni army and Popular Committees targeted two military bases in the southern Saudi town of Jizan, he said. 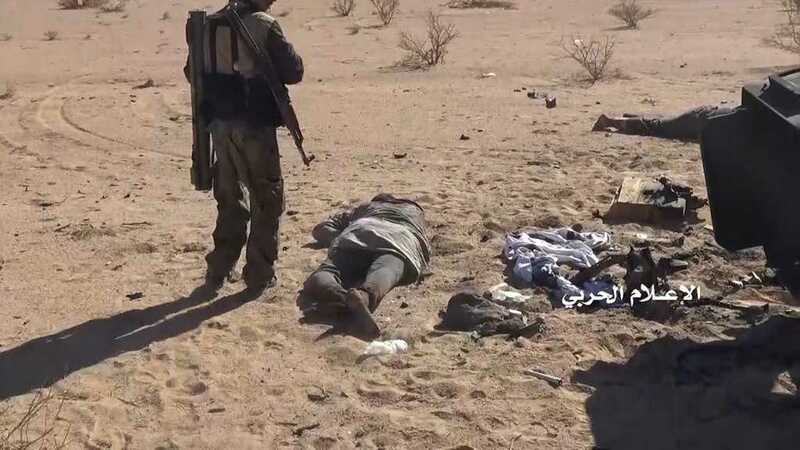 Later on Monday in Najran region located 844 kilometers south of the Saudi capital Riyadh, several Saudi-paid militiamen were killed in a Yemeni attack on their positions. Separately, Yemeni forces launched a barrage of artillery rounds at the gathering of Saudi forces in the kingdom’s Asir region. 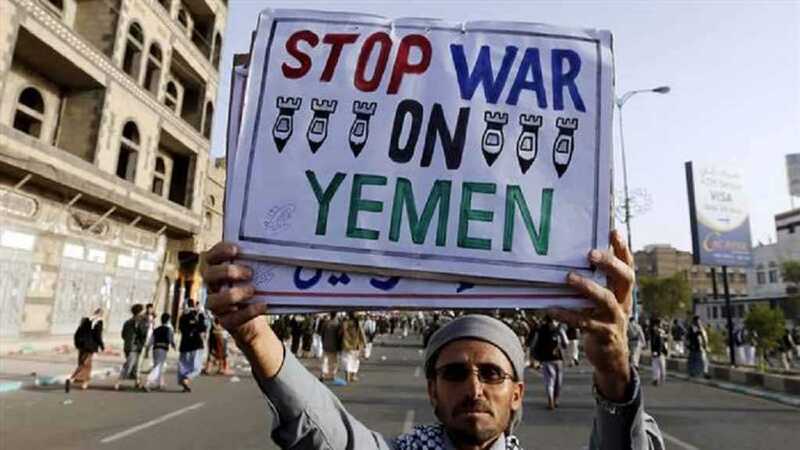 Saudi Arabia and a number of its regional allies launched a devastating campaign against Yemen on March 26, 2015, with the goal of bringing the government of former Yemeni president Mansur Hadi back to power and crushing the Ansarullah revolutionary movement. 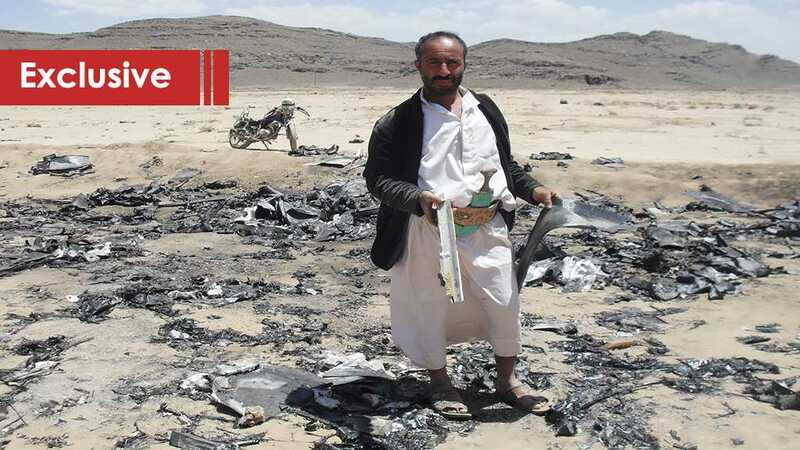 As the Saudi-led war on Yemen ends its 4th year, 25 Yemeni and global NGOs called on Germany to extend its moratorium on arms sales to Saudi Arabia. Below is the full text of their plea. 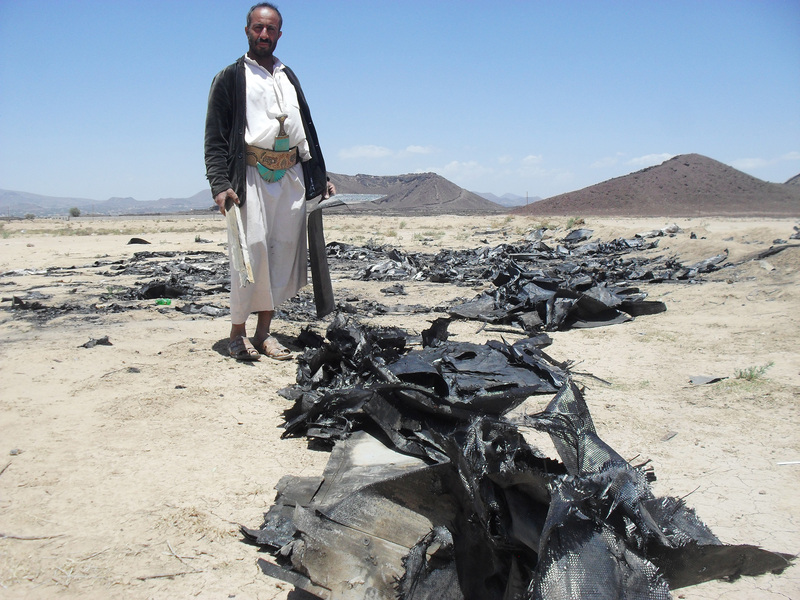 As organizations working to protect civilians in armed conflict, we urge you to renew the suspension of export licenses for arms transfers to Saudi Arabia for use in the conflict in Yemen. This decision would be consistent with Germany’s legal obligations and would align the country with a growing number of its European neighbors. Additionally, the coalition’s-imposed restrictions on imports of vital food, medicine, and fuel has greatly contributed to what the UN has called “the world’s worst humanitarian crisis.” Twenty-four million people require humanitarian assistance and 10 million are on the verge of famine. Additionally, throughout the conflict, coalition airstrikes have destroyed water treatment facilities and pipelines and major transport hubs—crippling access to clean water. There have been 1.3 million suspected cases of cholera—the worst outbreak in modern history. Sana’a – Yasser al-Habashi, father of five children was living in his own home, car and a grocery in Bani Hawat neighborhood near Sana’a International Airport when a Saudi airstrike hit his home on March 26, 2015. Al-Habashi was living in a single-story home about 100 meters away from the eastern main gate of Sana’a International Airport. This home was among four homes targeted directly by first US-backed Saudi airstrike on Sanaa, making a tragedy for survivors who feel as forgotten as the overgrown burial ground. Three of al-Habashi’s sons martyred, Ammar, 17, Ala’an, 14, and Aisha, her age not verified yet, were among 21 killed and 17 wounded among them his son Najmuldeen who still suffer from shrapnel and got surgery to remove some of them 6 months ago. On the early hours of 26 March, 2015, al-Habashi came to home at 1:30 A.M., he said, and could not remember what happened after that time. 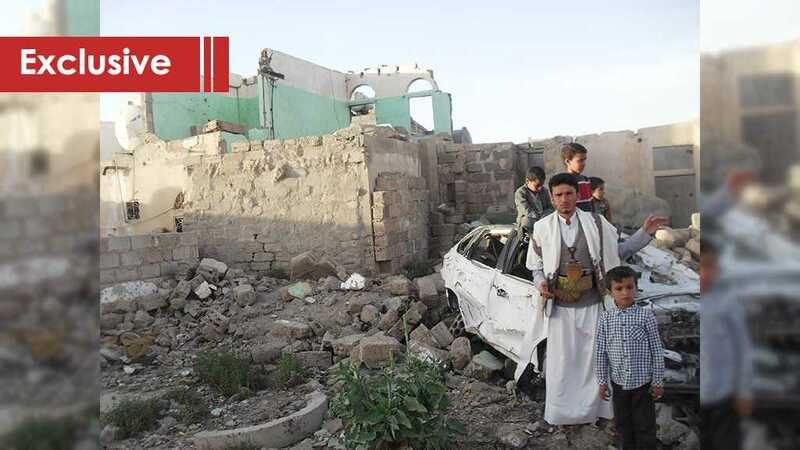 On the thresholds of four years of the US-backed Saudi war on Yemen, al-Ahed News has visited on Monday’s afternoon the scene of the first massacre that targeted this neighborhood of al-Habashi, where his family was the fourth family that was targeted. None of the survivors among the four families still live in this neighborhood any more, for fear of being another target for the indiscriminate airstrikes of the Saudis whom US President Donald Trump once described them as don’t know how to use weapons. Due to the bad experience, the survivors have been feeling of frustration, fear and insecurity, eating and sleeping disorders, anxiety, aggressiveness, depression, post-traumatic stress disorder and other behavioral problems, according to neighbors who explained why they no longer live here or refuse to speak to media. Al-Habashi, who survived with bad wounds now lives in a rented home in Bani Hushaish district, 20 km north eastern the Yemeni capital of Sana’a. “I was living at my own house, have my own car, work at my own grocery, then suddenly l lost all of them,” al-Habashi told al-Ahed via a phone call. Yasser al-Habashi was the only responsive of the four families and spoke to our website via phone, said he has not done bad to anybody and know nothing about politics, claiming there is no justification for targeting him. He stressed he really enjoy not being involved in any kind of decision-making process or people’s lives. “I only walk to work at my grocery, then come home,” he said responding to a question if he has participated in any military actions that led to being targeted by airstrikes. Fayz al-Swat, in his early thirties, lives at al-Balas neighborhood who works as its leader. This neighborhood is where the massacre took place. He was sitting at his living-room along with three men, solving problems of the society when al-Ahed correspondent visited him Monday afternoon. This neighborhood is a socially excluded locality inhabited by poor and marginalized people who work in picking Khat leaf which is a stimulant that Yemenis chew and can make a person feel more alert, happy and talkative, according to authors. Al-Sawt said this neighborhood is a peaceful and knew every person in it being member of any warring sides. “There were no Ansarullah members here, no members of any party, all people here are farmers who look for making a living in Khat harvest,” al-Sawt said, denying there were any military targets that allow striking his neighborhood. Al-Sawt said civilians of his locality were sleeping in peace, then at 2:15 A.M., they heard an explosion, and the season was rainy, cloudy. “At first we thought it [the explosion] is a thunder, as it was a rainy season,” al-Sawt told al-Ahed while at his own poor home that’s about 10 meters from the targeted homes including al-Habashi home. “We came out to see what happened, then we heard another explosion at Sana’a International Airport,” al-Sawt added. This situation, according to al-Sawt, caused intense panic and fear among the residents of the neighborhood that witnessed huge displacement wave. “I saw half of the neighborhood houses destroyed, or partially damaged,” al-Sawt said, adding he then took his family in his car to another house in a nearby house and returned to participate in the rescue efforts. “I helped in pulling the sons of al-Habashi from under the ruins,” he said where four families were targeted. 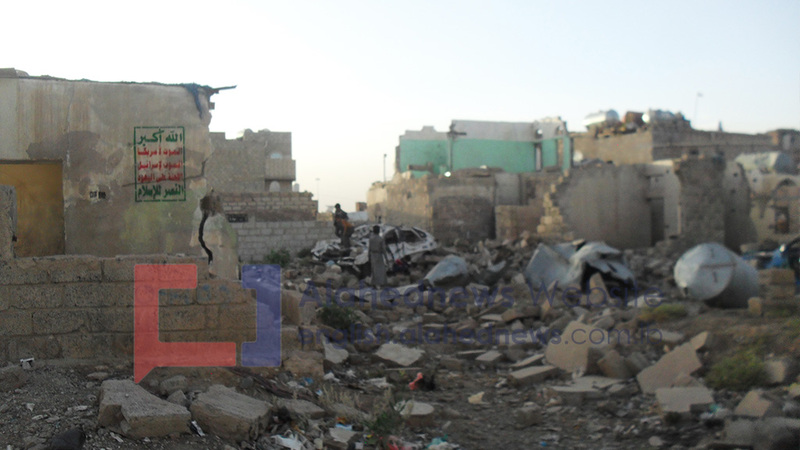 Survived civilians still live at houses on rent, according to al-Sawt, after they were living in their own homes. “Yasser has become homeless and living in a house on rent,” said al-Sawt when we called Yasser by phone to attend the scene of the rubble of his home to be interviewed. Another family member declined to speak saying media did nothing for them to alleviate their sufferings while living at rental houses. Yasser and his wife with one of two children survived with badly wounds. One of his children still suffer from shrapnel that were removed just 8 months ago, according to Yasser. Only one of my children survived with no wounds as he was in a near-by house of a relative. 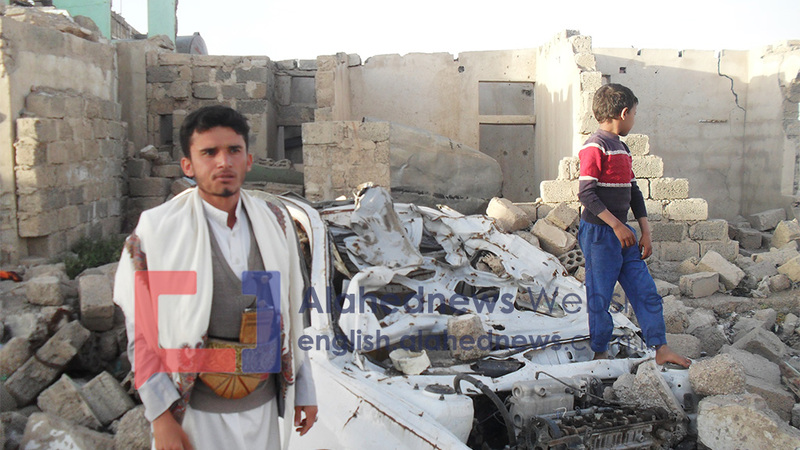 Al-Sawt said three families’ members miraculously survived. One family from Hajjah province, one child along with his sister survived. His sister is married and lives in the nearby district of Arhab of Sana’a and she was on a visit to her parents during the airstrike. The child now is a teen, according to al-Sawt, and lives with his sister in Arhab district as he works on motorcycle. The second family belongs to al-Jarmouzi. “This family had a special occasion when the airstrike took place. A girl came to visit her mother’s brother two weeks ahead of her wedding party. “She was killed in this airstrike and returned only on a dead body,” al-Sawt explained. He then mentioned the third family of Mohammed al-Mualem. The father and his daughter was killed, the rest survived, he said. Al-Sawt confirmed that when he saw such massacre and its victims were too innocent and knew they have nothing whatsoever to do with a weapons or party entanglements, he figured the aggression is criminal. 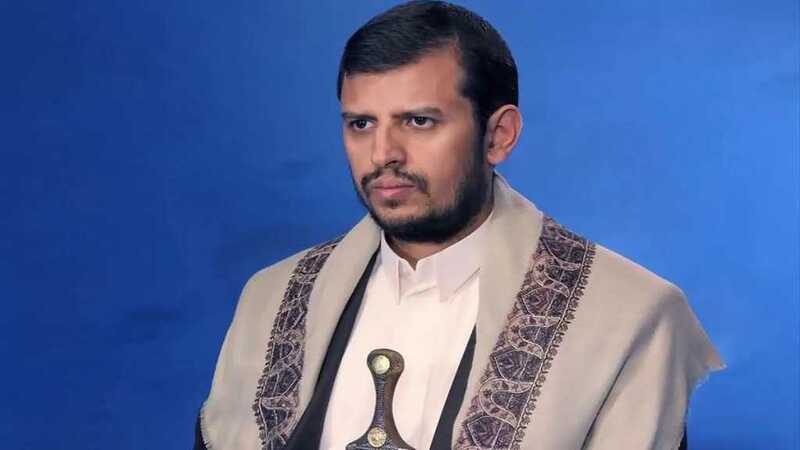 “So we then started to support Ansarullah fighters in fighting the Saudi aggression and we will stand-up as one against this aggression that threats our security and our future,” he concluded. 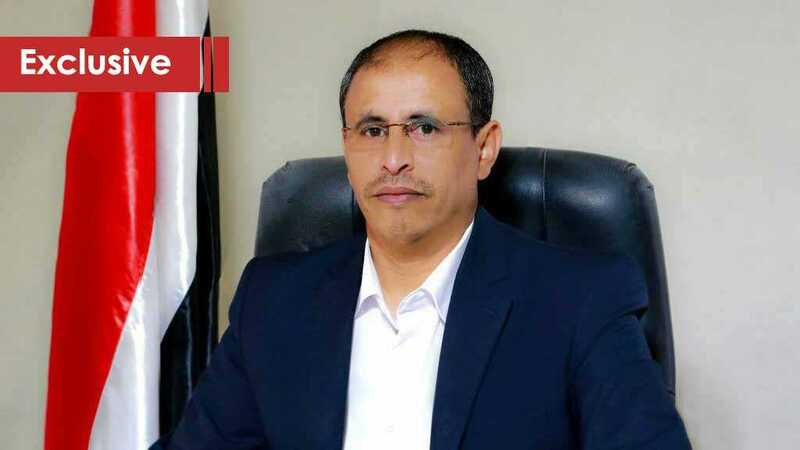 Sana’a – Spokesman of Sana’a National Salvation Government, Dhaifullah Al Shami, accused Washington of being responsible for the Saudi-led aggression on Yemen. Al Shami noted that the peace process in Yemen “remains stalled” and moves like an ageing and sick turtle, that when it takes a step forward, it takes backward another step. “The United Nations is unable to provide anything, as there had not been any success provided by it since its foundation for the sake of any people in the world, but conspires with invaders and occupants in each country and what happens in Palestine is the starkest evidence,” said Al Shami. 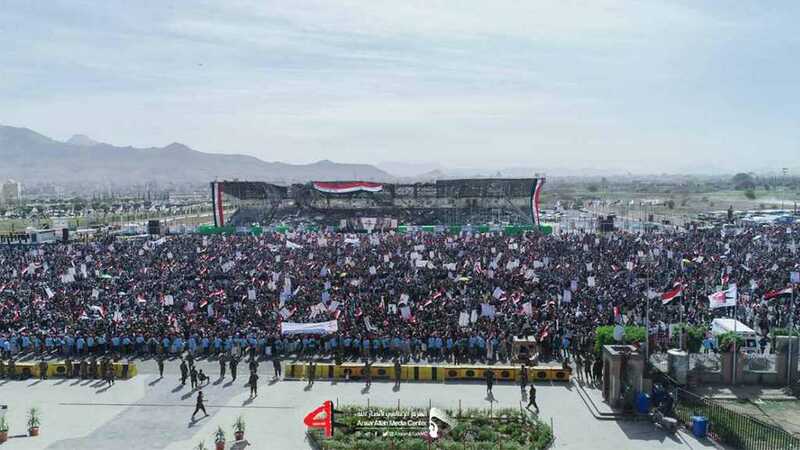 Al-Ahed News: On the threshold of the fifth year of the war on Yemen that has made in Yemen the worst humanitarian crisis of this century… What are your messages on this anniversary for the Yemeni people, the Saudi-led military coalition, and the international silence? Al Shami: War machine launched from Washington and the aggression on Yemen is an American with great distinction and neighboring states’ ambition has been fully exploited by America and its allies at the International High-handedness States to implement a design of eliminating the Koranic project, which exposed the American design in Yemen. Al-Ahed News: How could you comment on the indirect cooperation of the Saudi-led coalition with terrorist organizations like AQAP and Ansarullah Sharia? Where ISIS went after its terrorist attacks at Al Hashoosh and Badr mosques in Sana’a one week before the so-called “Decisive Storm” was launched on March 26, 2015? Al Shami: The co-operation between the Saudi-led coalition and the criminal organizations like Al Qaeda and ISIS hasn’t been invisible, but it was clearly noticeable, because the traitors and the collaborators were facilitating their [Al Qaeda and ISIS] operations while they were at the highest level in power, and what the Saudi Arabia wanted to be blown up, they should implement and that is through the two embassies of KSA and USA that were running these black ops. When the Yemeni army moved to confront such organizations, the master planers went crazy, so they tried to rescue them via politics and intimidation and several techniques, but it was exposed all together, so they has to ditch directly with them [ Al Qaeda and ISIS] against the sons of Yemen in general and managed to prepare for major crime operations for the purpose of sowing terror and fear among the Yemeni community like the massacres of Al Hashoosh and Badr mosques in a preparation for the aggression as a proactive step to confront with these tools. Al-Ahed News: Where has the peace process become particularly with the British role in the Security Council and the movements of the British Foreign Secretary in the region in support of the peace process in Yemen, where the British Martin Griffith, the UN Special Envoy to Yemen, has sought the Mission’s Hero? Do you welcome these movements and what is your stance on the political process after the remarks of British Foreign Secretary from the port of Aden? Al Shami: The peace process remains stalled and moves like an ageing and sick turtle, that when it takes a step forward, it takes backward another step, that’s why Britain role has emerged prominently through the UK Foreign Secretary movements, the envoy role who is of a Britain nationality, and his office where UK nationalities at make up large proportions of those employed in 85% to highlights the role UK tried to hide to no vain. Dealing with the political profile from our side with credibility and clarity unbended the truth of that role. I think if things have gone at this pace, fate of the political action will continue to be frustrating, despite concessions and advances that we present from one side to enhance trust and build it because we have the resolution and in no way affiliated [with any side] or our decision at the other’s hand as is the case with the allies and their tools. Al-Ahed News: What do you expect from the parliamentary By-elections that preparations are being made in the Yemeni capital of Sana’a? The enemy’s charge against us of having relationship with Hezbollah is a pride we do not deny, rather we pride ourselves on it, and it is an enough proud for us that Hezbollah and its leadership are the strong and sincere voice with our [Yemeni] people and its grievance and rejected the aggression on it. When we hear the Americans, “Israelis”, Saudis and Emiratis declare that they do not accept a new Hezbollah in Yemen, we say to them, we too didn’t accept and will not accept another Israel in the entire existence. Al-Ahed News: How do you see the latest British decision to list Hezbollah on its lists of “terrorist groups”? Are there any messages wanted to be sent through the meeting of the British Foreign Secretary with Muhammad Abdul Salam in Oman that was followed by Jeremy’s movements in the region including visiting Aden that ended up at the invitation of the so-called head of the “Southern Transitional Council” Aydrus al-Zubidi to UK where he said, Britain was in “partnership” and not an occupation with the southern people? Al Shami: The British decision against Hezbollah is a decision with no validity and it will only increases the strength and position of Hezbollah in the eyes’ of the people.